Currently on Back Order from the publisher. Please be patient. Playing a fine-sounding instrument that he or she has lovingly crafted from scratch is a thrill for many a musician. 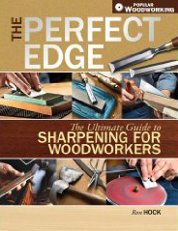 With this richly illustrated manual, well-known luthier and guitarist John Bogdanovich shows exactly how to build that first, beautiful guitar, using traditional, time-tested methods. All that’s required are basic woodworking techniques and a minimally equipped shop. Bogdanovich discusses the anatomy of the guitar, sound, choosing an instrument, selecting woods, templates and molds, and preparation. In more than 300 pages of text, he painstakingly lays out the details of construction, from assembling the neck and sides to installing the fingerboard and bridge.